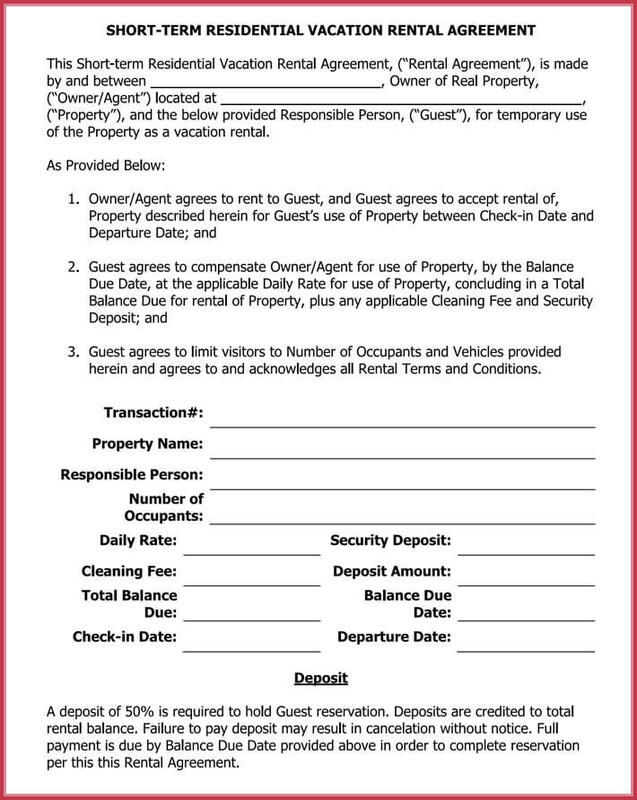 A short-term rental lease agreement is a legal contract that defines the terms and conditions that governs the relations between a landlord and a tenant for a period not exceeding one year. The basic conditions and terms are financial, duration of the contract, termination and accessibility rights. 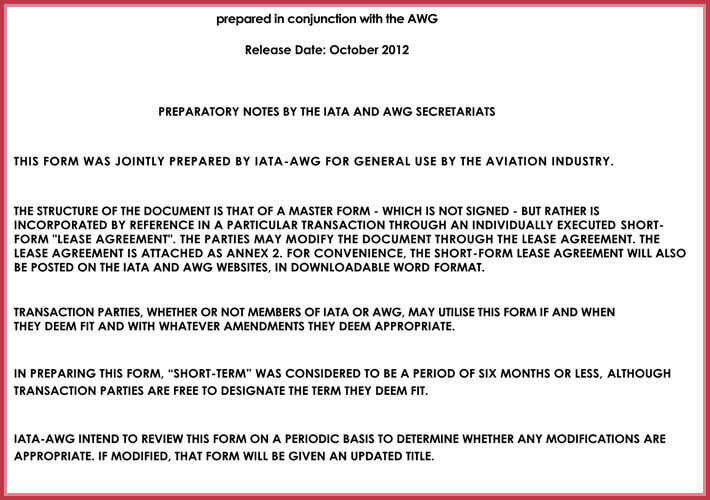 The major reason why it is imperative to bind in a legal agreement before leasing is that human kind are unpredictable. Oral agreements are also difficult to enforce in law. 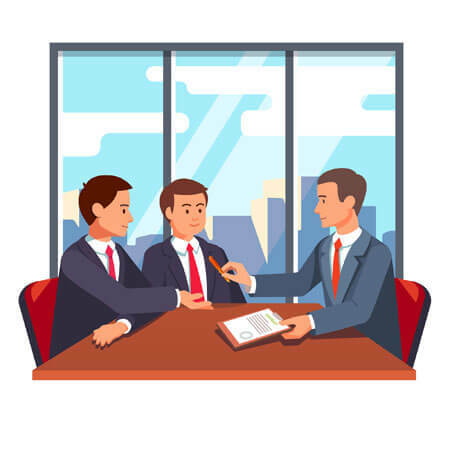 The absence of a lease agreement can make the arbitration process in case of disagreements during the life of the contract very untenable. Furthermore, a lease agreement spells out all the multifaceted issues relating to occupation of the premise. 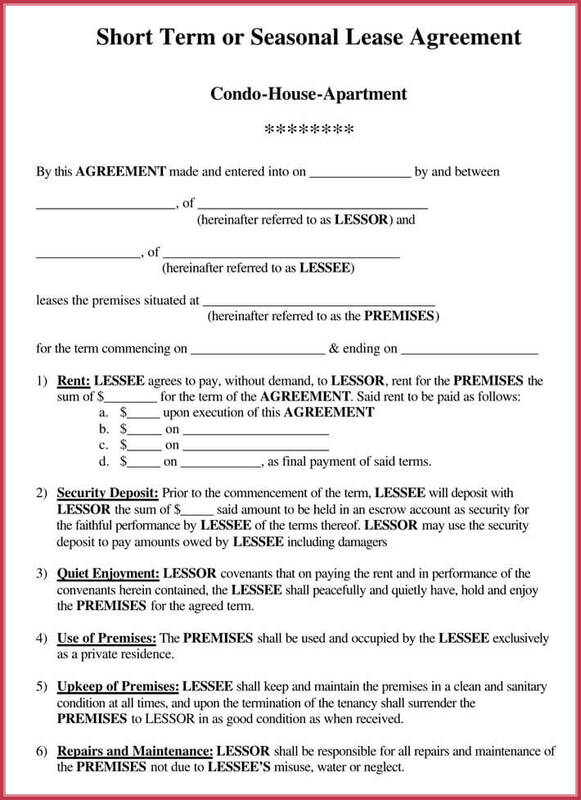 For a lease agreement to be legally binding as well as plausible, there are basic elements that it must embody. 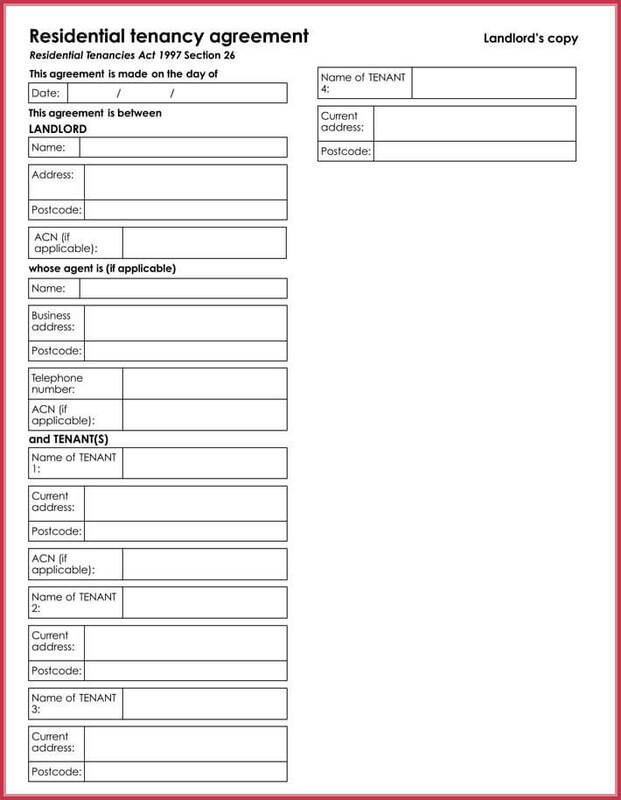 First, it must define the lessor and the lessee by their names and personal identification details. It should also clearly spell out the financial relation and other related issues from tax to payment method and time of pay. 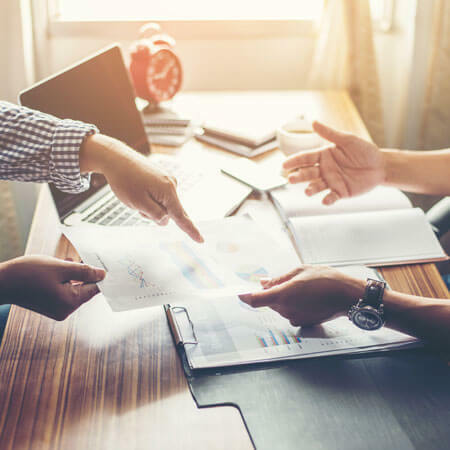 In the lease agreement, it should be clearly defined the space on offer, and that there is acceptance on the side of the lessee and the lessor to continue with the contract. The agreement should have a life and terms of terminations. All props, complimentary and additional accessories and amenities to the premise such as latrine, parking space, water and electricity should also be exemplified. Lastly, the contract should have a declaration clause. 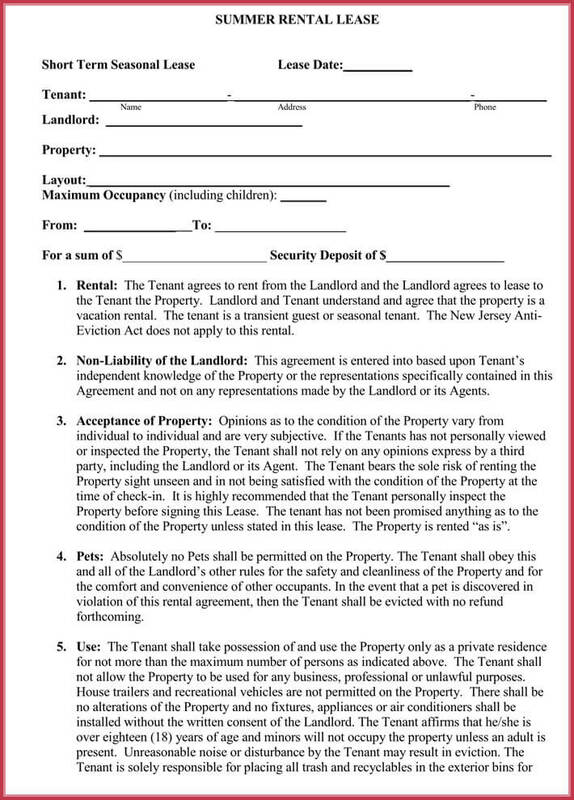 The agreement covers both the tenant and the landlord. 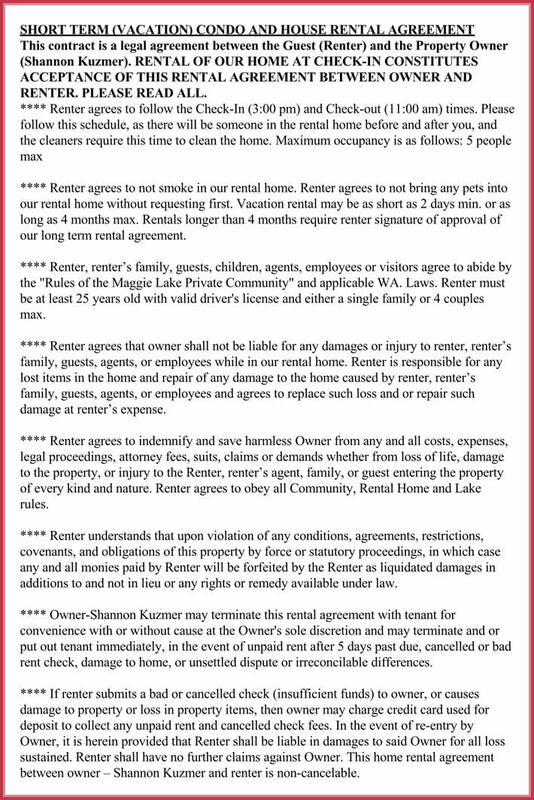 The tenant rights such as foreclosure of existing conditions, protection from arbitrary eviction and value of lease and protection from capricious lease value inflation are enshrined. There are usually problems of this nature in many residential and business premises where land lord chose to be dishonest. More also, the tenant is also shielded from possible conflicts regarding amenities and accessories use. 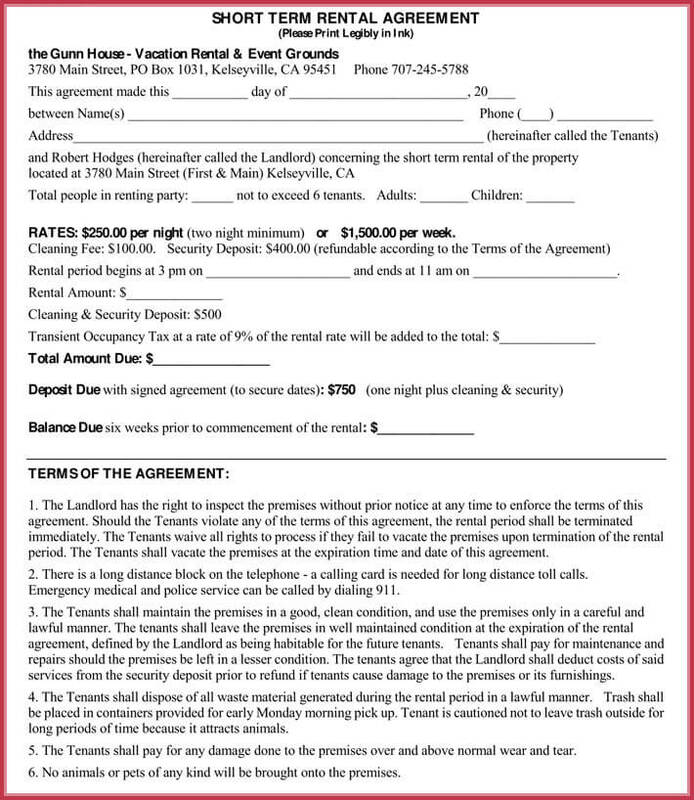 Furthermore, most rented premise involves paid deposit and it makes a lot of sense to protect any money with a professional lease agreement. The landlord is also protected from cunning tenants who pay irregularly, which can spell doom between the lessor and the financial partner. 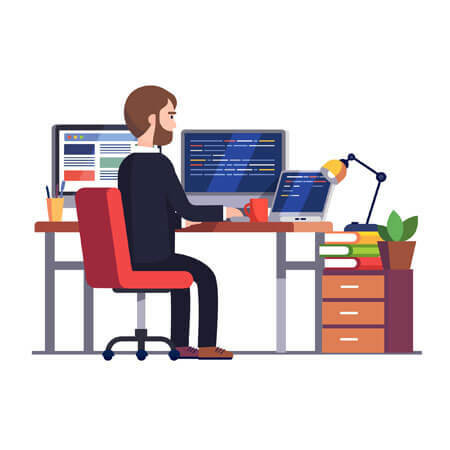 Some tenants also may destroy the premise which is very costly, and in case the responsibility of taking care of such expenses is not indicated, it may be a major cause of conflict. Unpaid bills are also another source of concerns. 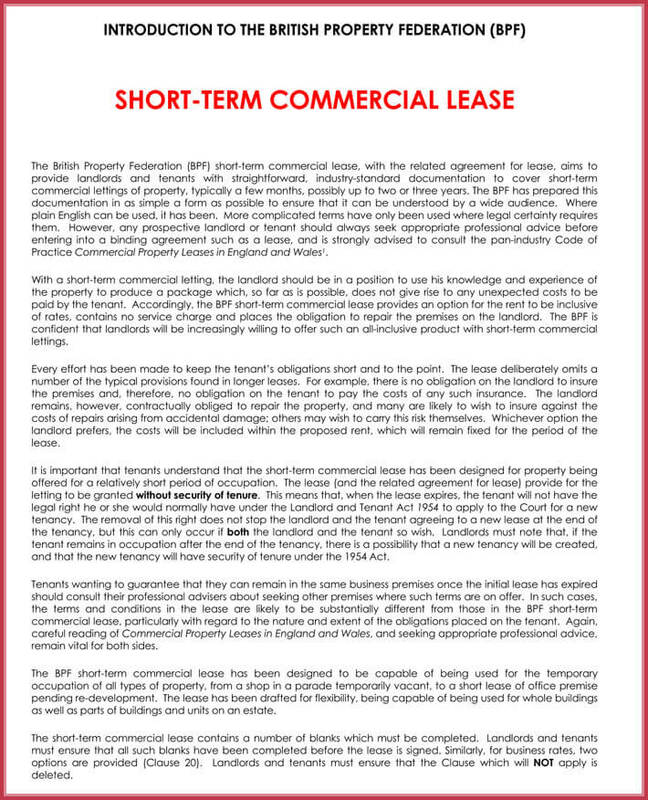 This state of affair implies the need to have properly written professional short-term lease agreement. 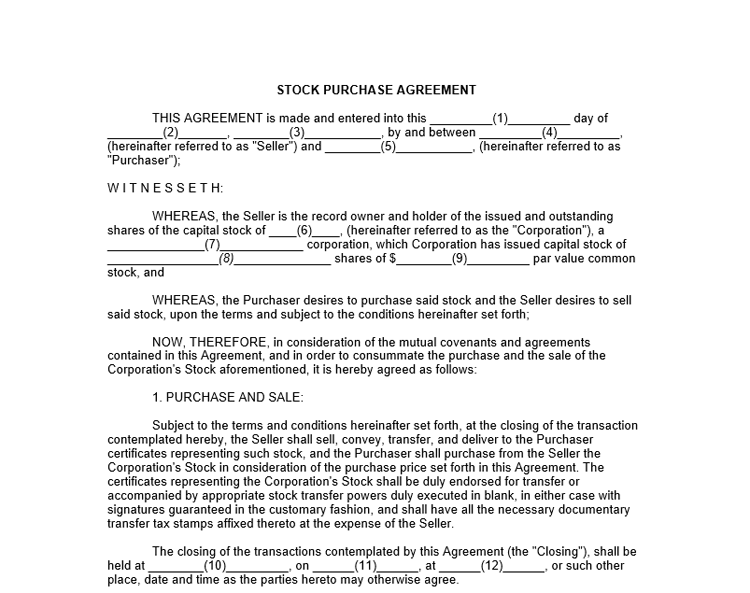 Many people shy off from the written contract mainly because they believe they need an attorney to draft it for them. 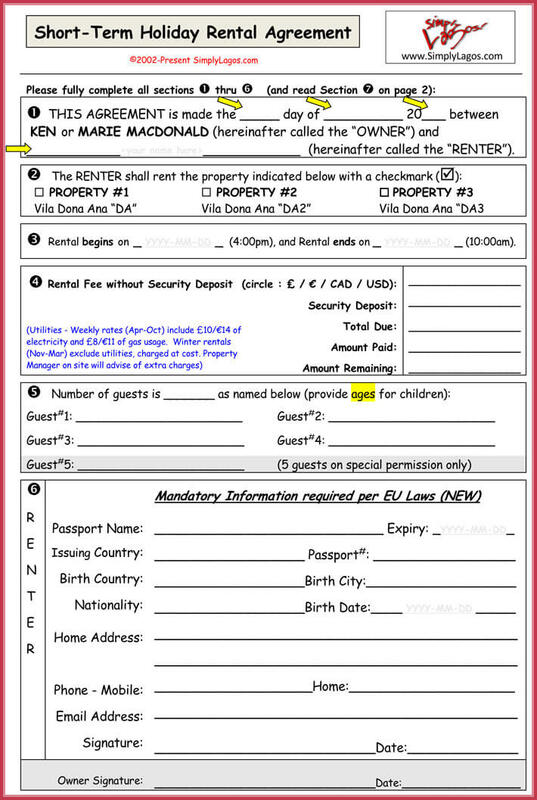 The easiest way is to use Short-Term Lease Agreement Templates that are availed here. 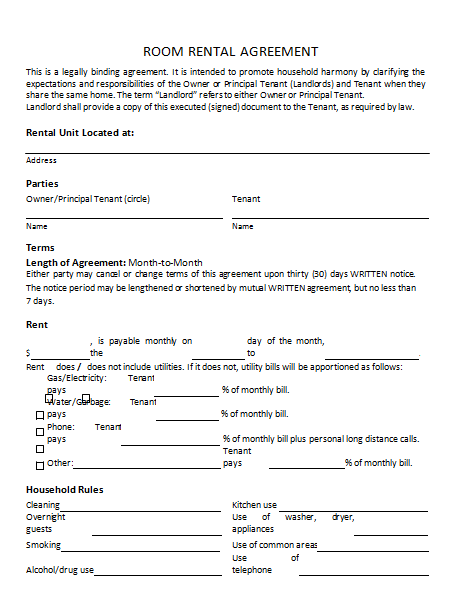 With a wide experience in lease agreement, the Short-Term Lease Agreement Template I provide, are holistic. They can be downloaded for free in PDF or word format from this site. 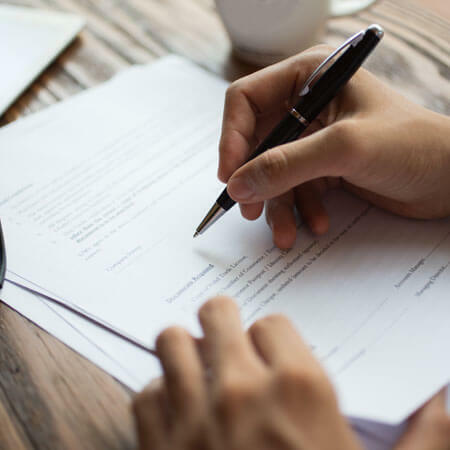 While writing the lease agreement, both parties should make sure the entire specific requirements and expectations are defined in a credibly outright manner. Nonetheless it is important to avoid putting clauses that contravenes the local law. These can effectively render the contract illegal in the likely scenario that problems happen. 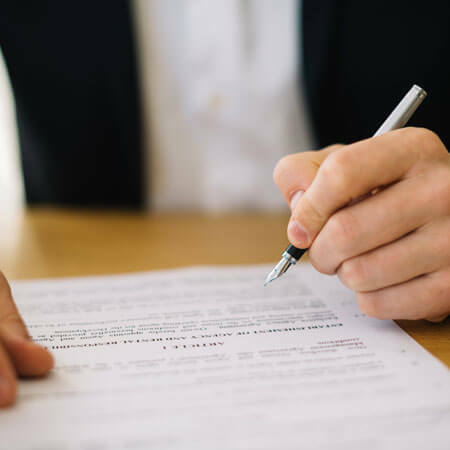 Conditions that jeopardize social progress issues such as curbing all forms of discrimination and other freedoms and rights must be avoided a great deal while writing the lease agreement.